Compact cars have risen in popularity in the past couple of years. They are sleek, stylish, and receive good gas mileage. Although these small cars make a statement, the benefits of owning an SUV or a crossover keep these larger vehicles in the garages of many consumers. The experts at CarRegistrationAdvisors.org realize that buying a car can be a stressful and tedious process, but an SUV may be just the vehicle to fit your needs. You should consider the benefits of upgrading to an SUV or a crossover the next time you purchase a vehicle. No two roads are the same. Drivers must be prepared to drive on a variety of different roads, including pavement, gravel, and even dirt. SUV and crossover vehicles are better equipped to handle rougher terrain. These vehicles have more extensive underbody protection. This includes skid plates, which protect the underside of the vehicle when it hits the ground. This can be especially important when driving on gravel or other loose surfaces. SUVs are equipped with bulkier suspension systems. Your car’s suspension system determines how the vehicle reacts to the road and how it feels to drive your vehicle in different conditions. A suspension system in an SUV or a crossover allows the driver to remain in control in unpredictable road conditions, and this type of suspension is perfect for off-roading. If you are purchasing a new car, you may have to consider the number of seats in the vehicle. Individuals may not give this much thought, but larger families must make sure they can transport everyone, if need be. The team at CarRegistrationAdvisors.org knows that it may be difficult to find the necessary seating in smaller vehicles, and larger families may find the SUV a great option. SUVs can carry more luggage or cargo, and this can be extremely convenient for any drivers who need to transport furniture or large appliances. This is ideal if you need to move across town or across the country. Driving an SUV or a crossover allows you to take fewer trips when transporting people or objects. You can save time, money on gas, and lower the amount of air pollution you produce by driving a larger vehicle. An SUV or a crossover is a great option for those looking for a little extra space. The team of experts at CarRegistrationAdvisors.org knows that every driver wants to protect themselves and their loved ones while on the road. Although accidents cannot always be avoided, you may feel safer behind the wheel of an SUV or a crossover vehicle. Smaller vehicles and compact cars may give you better gas mileage or have unique features, but the vehicle would suffer much more damage than a bulkier SUV. 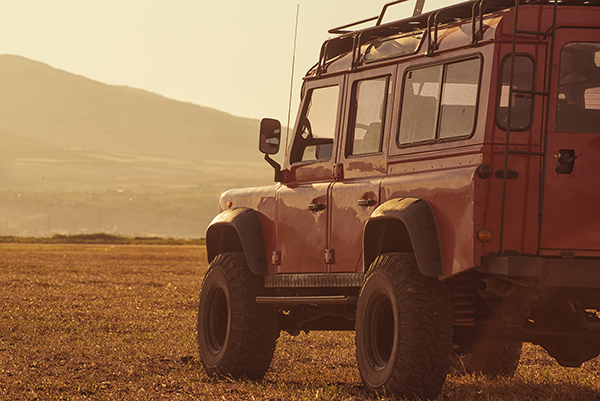 Larger vehicles may give you peace of mind while driving. You may not be able to prevent a collision from occurring, but you can make sure your vehicle is durable enough to withstand a good amount of damage.